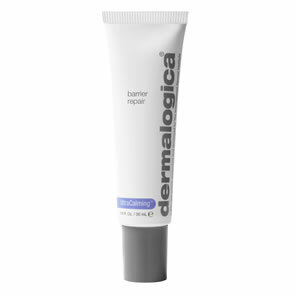 Dermalogica UltraCalming™ Barrier Repair is a unique anhydrous (waterless) moisturiser that melts gently into sensitised skin to soothe and help repair damage from environmental aggression. Creates a shield against environmental assault to help prevent further damaging assaults and helps combat free radicals and moisture loss. Silicones provide a velvety feel. Provides a smooth, even base, ideal for preparing skin for make-up application. Creates a shield against environmental assault to help prevent further damaging assaults. Silicones reinforce lipid barrier layer. Provides a smooth, even base, ideal for preparing skin for make-up application. Ascorbyl Palmitate, Tetrahexyldecyl Ascorbate and Tocopheryl Acetate: vitamins C and E help combat free radicals and stimulate collagen formation. Avena Sativa (Oat) Kernel Oil: an enriched Oat extract with natural antioxidants and fatty acids that reduces irritation and reinforces the barrier lipid layer. Oenothera Biennis (Evening Primrose) Oil: skin nutrient high in gamma linoleic acid (GLA) to reinforce the barrier lipid layer. Borago Officinalis (Borage Seed) Oil: high in gamma linoleic acid, this is a fatty acid that is also required for intact epidermal lipid bilayers. Silicones: fortifies skin’s natural defense against the environment and dehydration. 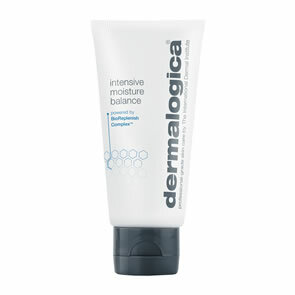 Apply a small amount of Dermalogica UltraCalming Barrier Repair evenly over face and throat with light, upward strokes. 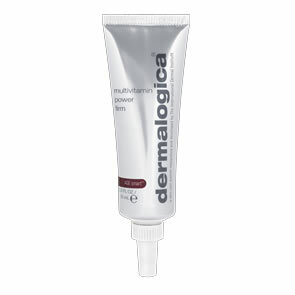 Best used following Dermalogica UltraCalming™ Mist and Dermalogica UltraCalming™ Serum Concentrate.